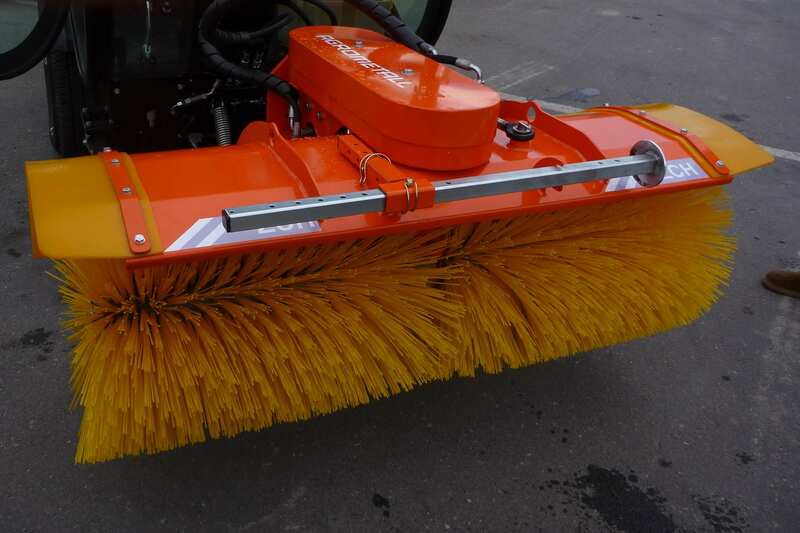 ZCH sweeper is intended for technology used for summer and winter sidewalks maintenance. 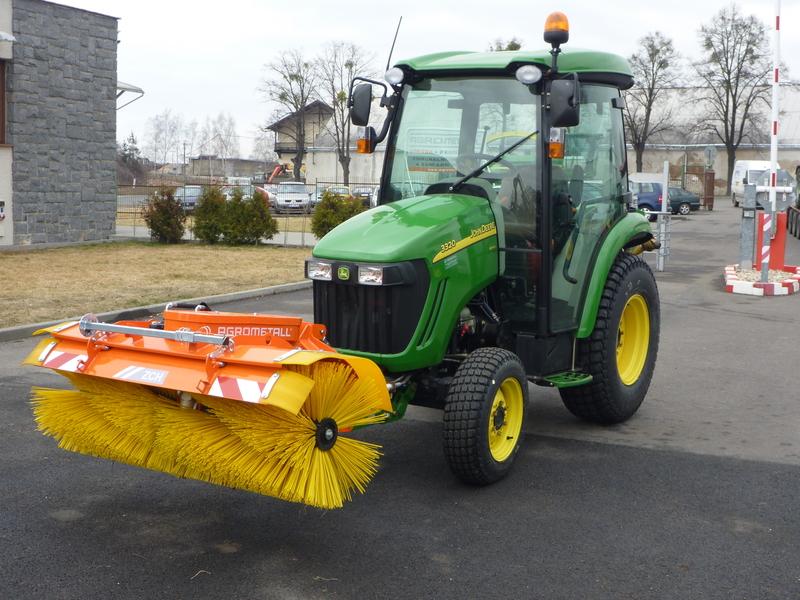 The sweeper is intended for sweeping of ordinary dirt on hard surfaces (like parking, road, yard) or to sweep the fresh fallen snow. 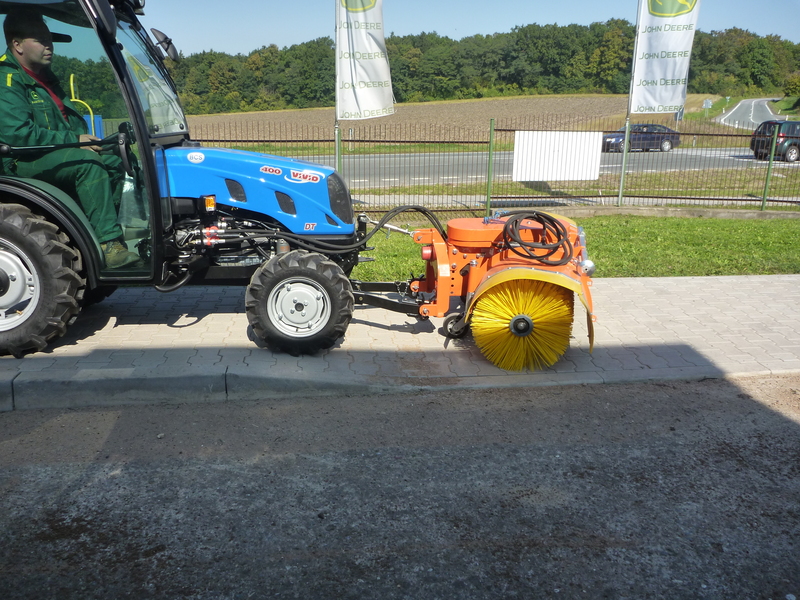 The sweeper with mid-gearbox is ideal to be used on pavement and in limited space. Plastic covers of brush sides prevent the damages of building façade near sidewalks. The hitch is O or I class, with quick lock or mower linkages. Height adjustable link and height adjustable gearbox allow to mount it for the majority of tractors. 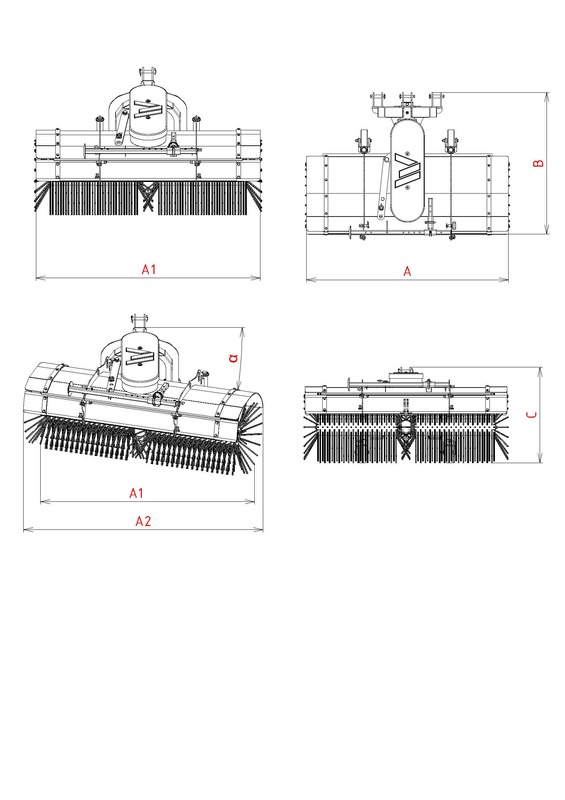 The sweepers can be delivered with PTO drive speed 540 rpm, 1000 rpm or 2000 rpm (UZ version), or with hydraulic drive (UH version). It is possible to change the sweeping angle mechanically 20° to the left side, upright and 20° to the right side. Like an option sprinkling is available - 12V pump and tank 200 L, positional lighting and hydraulic shooting. Maximum slope operability is 8°. Agrometall s.r.o. reserves the right to modify the technical parameters and construction of mentioned products without notice. Do you wish to receive news in your email box? Fill out the form below.